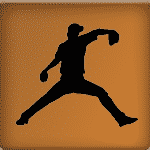 The Online Pitching Evaluation allows you to see and hear Baseball Rebellion’s breakdown of your baseball player’s pitching delivery with a one-time delivery analysis. Whether it’s in the preseason, in-season, or the off-season, it is always a good idea to get a second set of eyes on your delivery. Baseball Rebellion’s full-time, expert pitching instructor Dave Shinskie will look at your delivery, help identify strengths and weaknesses, and get you on the right path for improvement. Sign up now for only $20! Easy to Send Video: We use Hudl Technique* to send videos between you and our expert instructors. With Hudl Technique, sending video is as easy as sending a text message. The HT app allows us to seamlessly receive the video, break it down for you, and send it back, all within the app! Expert Analysis: It is good to get a second (sometimes even a third) set of eyes on your delivery no matter what time of year it is. Baseball Rebellion’s full-time, professional instructor Dave Shinskie will look at your delivery mechanics and help identify strengths and areas of improvement needed to take your game to new heights! 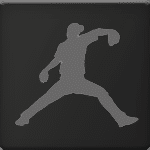 Baseball Rebellion Mechanics Drill: At the end of pitching mechanics breakdown, we’ll give you a Baseball Rebellion Pitching drill to work on to get your mechanics where they need to be to dominate on the mound! *Important Note: Due to recent changes from Hudl, Hudl Technique is no longer available on Android devices. Please make sure you have either an iPhone or iPad to use the Hudl technique application. How do I send in the pitching video? As stated above, we use the Hudl Technique app to send all videos and breakdowns between instructor and client. The app makes it as easy as sending a text message to send and receive video. When you sign up for the one-time online pitching analysis, you will get access to a step-by-step to sending Baseball Rebellion video through the Hudl Technique app. Does it need to be in-game pitching? How should I film the delivery? What angle? How many clips? If possible, it is best to film the pitcher from the front or the side. Try to get 2-3 consecutive pitches in one clip. 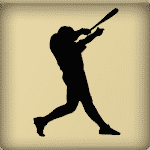 If you send us multiple pitches in multiple clips, we will pick the best one to analyze. Feedback on the delivery can be expected in 1-2 business days. Our instructors also do in-person lessons full-time in the evening so expect your breakdown to come back sometime in the morning.